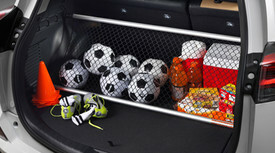 The Cargo Net Tray provides owners with added convenience and enhanced functionality for their RAV4?s rear cargo area. 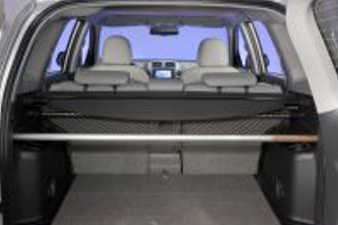 Constructed of durable mesh netting coupled with two light weight, high-strength aluminum poles featuring spring loaded tips, the cargo net tray can be easily attached to the vehicle via pockets that are molded into the rear quarter panel trim. It can be positioned either horizontally to act as a tray to hold smaller, light weight items and help keep them secure or vertically to divide the cargo area and help prevent items from rolling out of the vehicle when the hatch is opened. Designed to exceed Toyota?s rigorous engineering specifications, installation is quick and simple. For 2006 model year RAV4 vehicles or newer..